Pinterest is the fastest growing social networking website within few months of its release it is able to attract millions of users. In meanwhile, it has overtaken some social giants like Digg and Stumbleupon. The only reason why it is successful is because of its uniqueness. From its core, it is a virtual bookmarking tool furnished with social features such as Commenting, repining, and liking. All these features can easily be fashioned by WordPress Users, and they can create a website similar to Pinterest. 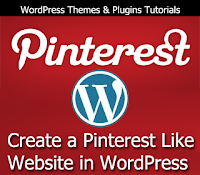 So today we will discuss how to create a website similar to Pinterest on our WordPress Blog having same pin board features. Our main intent is to transform our pre-existing WordPress Blog into a Pinterest looking website. Therefore, you need decent amount of content on your WordPress blog with eye-catching images, so when we will change our current theme to Pinterest it doesn’t look awkward. We will first review few themes that look-like Pinterest, and then we will review some plugins that will give your website same Pinterest features. Following are the top quality Premium Pinterest Themes for WordPress Blog that will going to change the look of your blog to Pinterest. 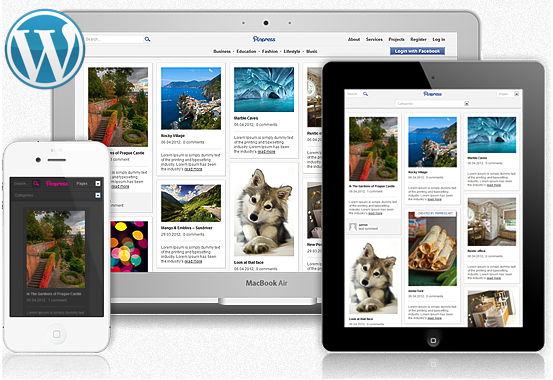 Pinpress is the premium WordPress theme which comes with interactive layout that exactly renders Pinterest Template. It has multicolumn layout, which will feel as if you are browsing on original Pinterest website. 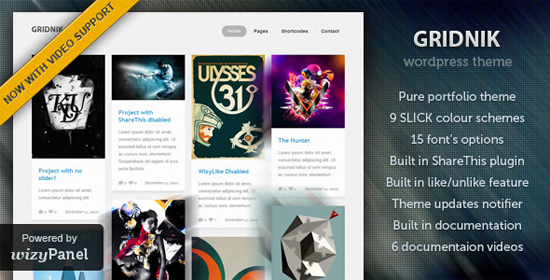 Gridnik is a splendid WordPress theme for those who loves uniqueness. It has flexible layout, which allows you to resize the theme not only for large screen monitor but also for small screen mobile phones. It has a whitish liquid layout that will make your feel like you diving into fresh swimming pool. It also comes with 9 silk colors enriched with 14 different fonts served from Google Web fonts. Gridnik is built with powerful WizyPanel which allows you to customize your theme according to your needs. 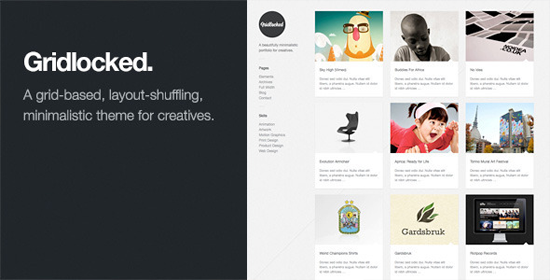 It is a perfect portfolio theme which will take your blog to the next level. Moreover it is a perfect combination of design and elegance. 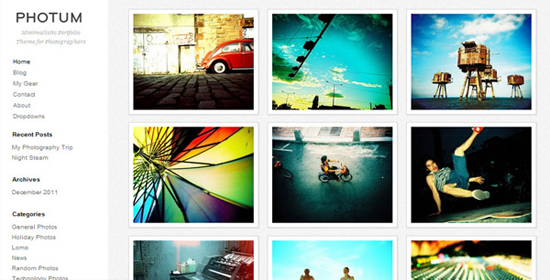 Just like its name this theme revolves around Grids. It has a stunning interface which will lock your visitors to your Blog. You can not only use this theme for blogging purpose but can also utilize it on a Portfolio website. It has a built-in like system so you don’t need to use any external plugins. It looks elegant and has bulk of features, which cannot be described in words. If you are thinking to use this theme, then we assume you have taken a splendid decision. Truly I didn’t want to give more than three Themes, but when I look at Photum theme and it changed my mind. This theme is amazing and it is the combination of tons of features, which will make your website just like Pinterest. This theme is not that much perfect but still with its whitish background it will give elegant look. It will allow you to add detailing in your images and much more splendid features. The best thing we have in WordPress is its user-friendly nature, which can be extended to almost anything you like to do with it. Although themes will make your blog look like Pinterest to a certain extent, but to make its functions similar to Pinterest you have to use some plugins which are as follows. There are many other ways which could be utilized in creating a perfect social networking website but one need a proper idea to nail that. 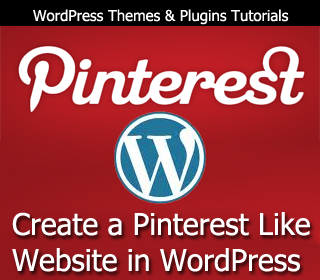 Many other plugins could be used and your website would become more identical to Pinterest. I think this post is great. What I want to know is how to create a site like pinterest where anyone can pin his image on the site itself. However, Keep up the good work. Well For That You have To Develop You Own Server Mate! LOL However, I Guess we have to keep something different From Pinterest so It Doesn't Look Totally Copy Of It. Nevertheless we have included some Paid as Well As Free Themes Which Could Surly Give a Perfect Pinterest Touch To Your Blog. Peace and Blessing Man! Once again Peace brother Faizan please can you help me in changing the font of my template please and bdw nice post! nice post faizan brother. Now testing the pinpass theme. interesting information. i have only used WordPress once in the past, but i don't have too much experience with it. but i am on pinterest. nice admin. your post is fantastic. Thanks for these themes.